Want satisfied patients? Keep nurses happy. Ever since Medicare started using patient satisfaction surveys in 2012 to calculate hospital reimbursements, the healthcare system has been looking to the hospitality industry to learn how to make patients enjoy their hospital stay. Hotels do have the answer, but hospitals are looking in all the wrong places. The concept behind Medicare’s HCAHPS survey — a short questionnaire asking patients what they thought of their stay — is simple: Hospitals can earn more money by keeping their patients happy. To raise their survey scores, hospital C-suites have been looking for one specific addition to their team: high-end hotel execs well-trained in keeping guests happy at any expense. The number of “chief patient experience officers” in the U.S. has gone from 0 to almost 100 in the past three years, many of who hail from the hospitality industry. Inova Health System, one of the largest in the mid-Atlantic, nabbed theirs from Ritz-Carlton. The national chain Cancer Treatment Centers of America recently welcomed another former Ritz VP as their CEO. This shift in priorities has drawn some bad press for some hospitals. Namely, they’ve been found investing millions in spas, private chefs, and luxury private rooms to make their patients feel more like resort guests. To no surprise, hospitals that are doing this have seen their HCAHPS scores — and reimbursements — shoot up. According to Medicare, their HCAHPS survey “creates new incentives for hospitals to improve quality of care.” The fact that they’re partially wrong is old news. There’s been an onslaught of studies in recent years showing that patient satisfaction is strongly affected by factors totally irrelevant to quality of care. Over prescription of pain meds raises survey scores. Luxurious rooms and five-star amenities raise survey scores. In one large academic east-cost hospital, even sending a “get-well-soon” postcard to every patient’s home after discharge bumped up its satisfaction scores. Many hospitals providing poor care have exploited the gap between satisfaction and quality to increase reimbursements without improving outcomes at all. Following hotels’ approach to satisfaction is a slippery slope. Hospitals can’t let spas and personal chefs become the norm. They can’t afford to let patients equate a good hospital with a luxury hospital. Most importantly, they can’t let patient satisfaction drive patient care. Hospitals view hotels as role models — but they’re making a flawed comparison. In the hospitality industry, guest satisfaction is the ultimate measure of success; in healthcare, it’s just a weak proxy for quality of care. As such, the hotel mentality is not generalizable to hospitals. High-end hotels know that luxury begets guest satisfaction, so the cost of famous chefs and full-service spas is justified. Ritz-Carlton President Simon Cooper recently told Forbes Magazine that all employees are given a $2,000-per-client budget to make any person’s stay more memorable through unexpected services like champagne for a guest’s birthday. But patient satisfaction is ideally different. Ideally, it’s a measure of whether the hospital was quiet and clean, and whether the staff provided for a healthy and respectful recovery. But in reality, luxury begets satisfaction in hospitals, too. Hospitals have mistakenly learned to view satisfaction as the end goal, and thus to think of luxury as a means of achieving that goal. Investing in frills is the general trend across the hospitality industry. 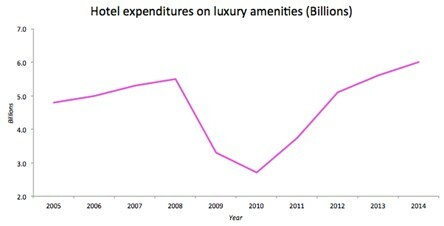 Total spending on luxury services by hotel chains has been climbing since 2010 and is now at a record high. This may make perfect sense for hotels — but with health care costs already spiraling out of control, is that really the model hospitals want to follow? Nurses spend more face-time with patients than any other care providers in the hospital. So it’s no surprise that patients’ interactions with nurses are the number-one strongest predictor of HCAHPS scores, according to many national studies. That is, pleasant interactions with nurses translate into high patient satisfaction. One problem though: Nurses across the U.S. hate their jobs. Nurses bear the brunt of most current patient satisfaction efforts. Hospitals have instituted policies requiring them to answer all call lights in under 30 seconds and memorize scripted comforting comments. Some have even made part of their pay contingent upon patient evaluations. This, among many other factors, has made them miserable in their working environment. Nurses consistently report the highest levels of job stress in healthcare, with a 40 percent burnout rate and a huge annual turnover rate of 26 percent, according to a JAMA study. 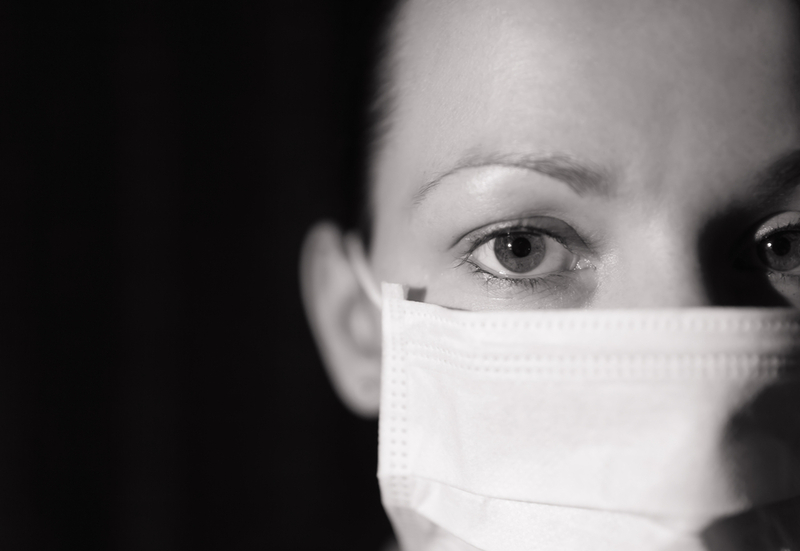 How do you expect a drained, overworked nurse to act welcoming for every single patient? Hospitality faces the same paradigm. Employee job fulfillment is a strong predictor of guest satisfaction, yet hotel staff have an astronomical 66 percent annual turnover rate. But a select few successful hotels have figured out how to keep employees around, make them love their job — and translate all that into happier guests. At just 20 percent, the Ritz-Carlton’s turnover rate is the lowest in the industry. They keep it there through a relentless focus on company culture. They engage their workforce through daily meetings where employees share their “wow” stories of exceptional service. Ritz President Simon Cooper notes that fame amongst fellow staff “is a powerful motivator.” They empower their employees through immediate resolution of customer complaints, not escalation to higher management. Remember that $2,000-per-guest budget? “That displays a deep trust in our staff’s judgment,” says Cooper. The Ritz doesn’t teach its staff rules to abide by; it motivates them with a mission to live up to. That translates into their reputation of legendary customer service. Hospitals should be following successful hotel chains’ lead in driving a culture change among their nurses. It wouldn’t be impossible — what better place than a hospital to motivate employees? “Wow” stories of nurses helping patients are everywhere, and deserve to be shared. Happier nurses will effortlessly pass their satisfaction along to patients — no spa required. Jayson Marwaha is a medical student. He can be reached on Twitter @jayson_marwaha.